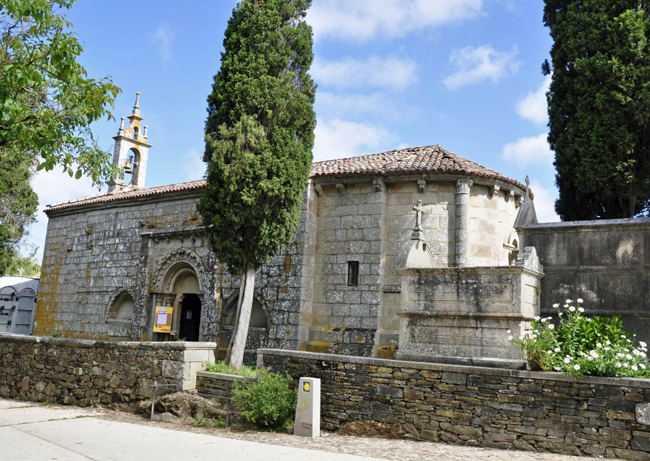 A superb example of religious architecture from the 12th century, declared a National Monument, due to its artistic importance. On the exterior is of great interest the decoration of the aspe and the two entrance doors, especially the one on the west side. In the interior, the important set of mural paintings of the 16th century of the Main Chapel stand out, as well as the Romanesque stone altar, also polychromed in the 16th century. In the square of Santa María a 17th century cross is preserved.